Here’s what you need to know on how to downgrade iOS 10.0.2 to iOS 9.3.x on your compatible iPhone, iPad or iPod touch device. 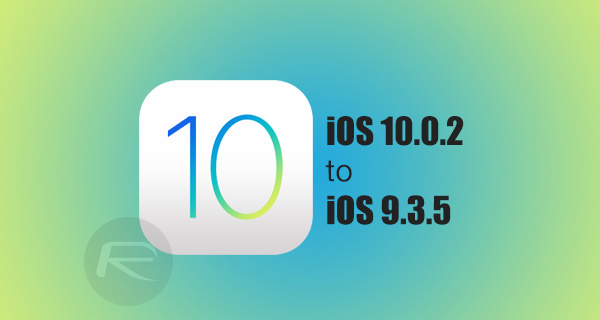 If you have taken the plunge and updated your iPhone, iPad or iPad touch to the recently released iOS 10.0.2, and are instantly regretting the decision for one reason or another, then comfort yourself in the knowledge that all is not lost, and it is still possible to roll back to the last publicly available version of iOS 9 if iOS 10 just isn’t cutting it for you. iOS 10, if you believe the Apple marketing machine, is supposed to be the best version of iOS to date. but of course, Apple says that about every version of iOS, but when it comes down to it, it’s very much a subjective thing on a case-by-case, or user-by-user basis. Like any company producing any software, Apple simply can’t appease every single user by producing an operating system that takes care of every single individual need out there. If you’re one of the few who still prefers iOS 9 for one reason or another, then all hope is not lost, at least not yet. With that in mind, before you actually go making any rash decisions to abandon iOS 10 in favor of rolling back to iOS 9.3.5 while it’s still being signed by Apple, then it’s worth taking a few things into consideration. First of all, if your decision to downgrade is jailbreak motivated, then you need to be aware that there isn’t a public jailbreak solution available for any device running iOS 9.3.5. With the last public jailbreak being available for iOS 9.3.3, and Apple no longer signing that firmware, there is literally no jailbreak advantage to be had by rolling back to 9.3.5 at this time. Additionally, if you have already made your mind up that you are definitely going back to iOS 9.3.5, then you will want to act on that decision fairly quickly. With iOS 10.0.2 now being the latest publicly available version of iOS, and Apple already testing iOS 10.1 with developers and registered testers, the signing window for iOS 9.3.5 is likely to be closed sooner rather than later. If your mind is made up, then act now before the ability to downgrade is taken away from you by Apple. If you have taken all of the above into consideration, and have still come to the conclusion that you want to downgrade from the latest iOS 10.0.2 to the last publicly available version of iOS 9, iOS 9.3.5, which is still being signed by Apple, then you can follow our previous guide on the process here: How To Downgrade iOS 10 To iOS 9.x [Tutorial]. Note: Information in this post applies to all devices compatible with iOS 9.3.5 only. This does not include the latest iPhone 7 and iPhone 7 Plus as there is obviously no iOS 9.3.5 firmware available for those devices. 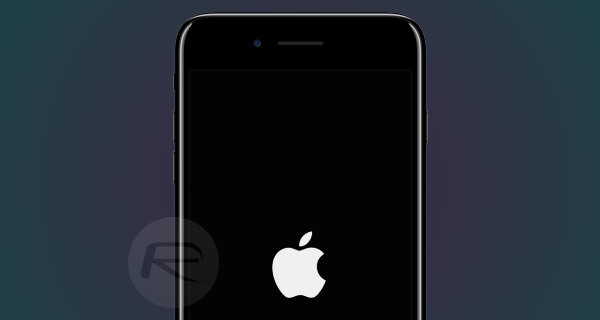 Downgrade iOS 10.0.2 To iOS 9.3.5, Here’s How”? exactly my point!!!!!!! Answer is simple, because then, both you and me, would not have clicked on the link… that´s why. Becoming a bit fed up of misleading titles…. Same here, I thought I’d jailbreak from iOS 10. Another update link of non-update matter of this forum. IOS 10+ jailbreak with be released by the end of this month. Guaranteed! I’m a struggling developer who learned be making mistakes and teaching myself but I am on to something. So if I am than believe me pangu taig, pp have already finished and are looking into 10.1. You see there vulnerabilities in every software so essentially u can jailbreak any IOS if u have a little knowledge(which I never did. Basically I injected the pangu 9.3.3 jailbreak onto my ios10.0.2 6splus and was able to jailbreak the phone. Obviously nothing really is compatibly or Cydia substrate is not updated publicly either. We will see. I’m. Or going back down to 9.3.5. No point.